This Thursday sees the start of a short exhibition at the Art Pavilion exploring dissident craft & decorative work. 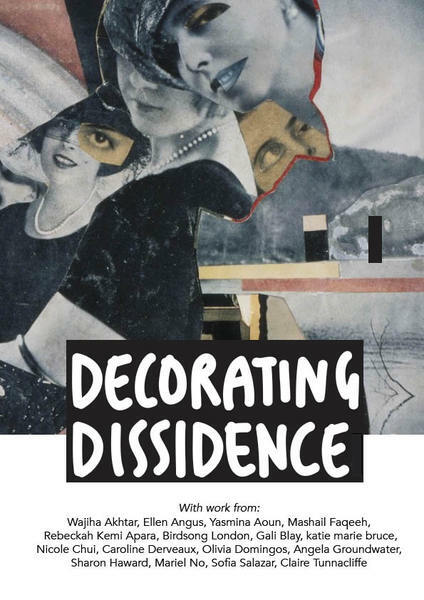 Bringing together contemporary artists across the globe, ‘Decorating Dissidence’ takes craft, decorative arts & design as a starting point to explore how dissident action has been woven into artistic practices often associated with the home & in opposition to the ‘fine arts’. Can the decorative be political? Is craft a civic duty? Is the archive activist? Can anyone craft? Spanning the early twentieth century to today, this exhibition will place contemporary craftmakers and artists in conversation with archival pieces. Alongside a conference held at Queen Mary, University of London, we will be curating an exhibition that showcases artists whose work engages with the decorative and the political. The exhibition will take ‘craft’ as a broad term: the body, stitches in time, fashion, DIY zines, graphics, protest objects, ceramics, space, identity and more.